A mighty stone edifice, protected by stout walls, the Palace is nevertheless deceptively modest for a seat of power. To look at it one might think it the great home of a duke, not that man who had come to rule Surlamar with an iron fist, dividing it into nine wards, one for each of his loyal generals. Yet such it is – or at least, was. It is said that at first the people appreciated the Emperor’s modesty. His lack of trappings, avoidance of the opulence won him the support of his subjects long after the sacking of the land had been forgotten. But time never allows thing to go unchanged. Within their wards, the children of the generals, now dukes and duchesses in their own right, sought to remake things in their own image, and divided themselves off from the Emperor, who himself grew ever colder and more remote, imposing great gates between his Palace and the wards, while beneath them all, the people lived through growing hardship and resentment. Then one day, uniting in the name of freedom, it is said the peoples of the provinces rose up and marched upon Surlamar to lay claim to the city and cast down the Emperor. Fearful for their own futures, the dukes and duchesses turned to the Emperor, only to find him gone, even as the army of the people could be seen approaching the city walls. And then the mist descended … and when it lifted, even the Palace of Tears was gone! Where lies the Palace of Tears now? What magic lifted it from the heart of Surlamar, and what secrets are contained within its strong walls? 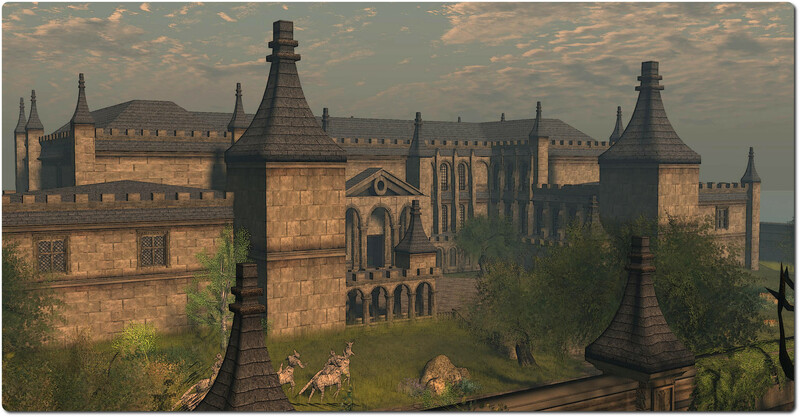 Has the Palace been transported to the Fairelands, or has something else happened? This – and more – will be revealed when the Fantasy Faire hunt opens on Monday May 5th, and hunt organiser Da5id Abbot, who kindly provided me with the notes from which this tale has been spun , will reveal. 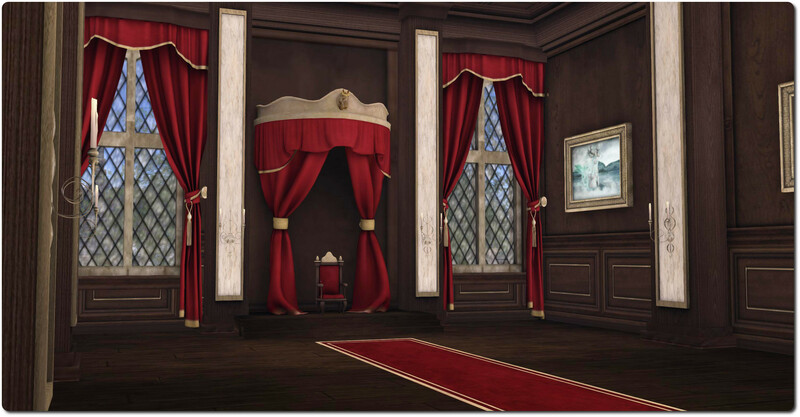 As always, there are some wonderful prizes to be discovered, and the Palace itself, designed and built by Rynn Verwood, is a marvel to behold and explore, rich in detail, its gardens complete with sculptures by artist Haveit Neox which may (or may not!) form a part of the story of the Palace and the city of Surlamar. 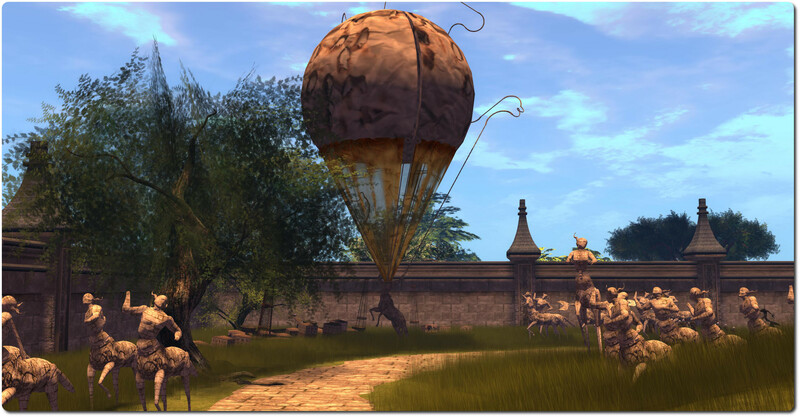 Do the sculptures by Haveit Neox, found within the grounds of the Palace have a part to play in the story of the hunt? Perhaps, perhaps not – you’ll have to find out for yourself! Update: It appears the video referred to in this article wasn’t for public consumption, as it has been made fully private. High Fidelity recently started alpha testing elements of their platform, which follows-on from a public call made in January via the High Fidelity website for alpha testers. The Alpha Sign-Up form is still available, and the client and other code is available through High Fidelity’s public code repository for those wanting to give it a go. For those that do, Chris Collins (not to be confused with AvaCon’s Chris Collins / Feep Tuque!) from High Fidelity has produced a video (no longer open to public viewing) introduction to the High Fidelity client (simply called “Interface” by High Fidelity), which is designed to get people comfortable with using some of the basics, and which provides a useful means of gaining greater insight into the platform. I’m including a link here rather than embedding, as the video is currently unlisted, so I’m not sure how far he wants it shared, although I’ve dropped him a line to obtain an OK. In the meantime, I’ve taken the liberty of including some screen shots with this article. Chris doesn’t run through the steps required to build the client, but instead takes launching the client (on a Mac system in his case) as his starting-point, which allows the initial “what you can do” screen to be displayed – a quick overview of what can be done with the current alpha release and also – possibly – a useful way in the future of drawing people’s attention to the very basics of using a client. The “What you can do” pop-up displayed when the Hi-Fi client starts. Could a pop-up like this help provide new users with basic pointers to the UI? 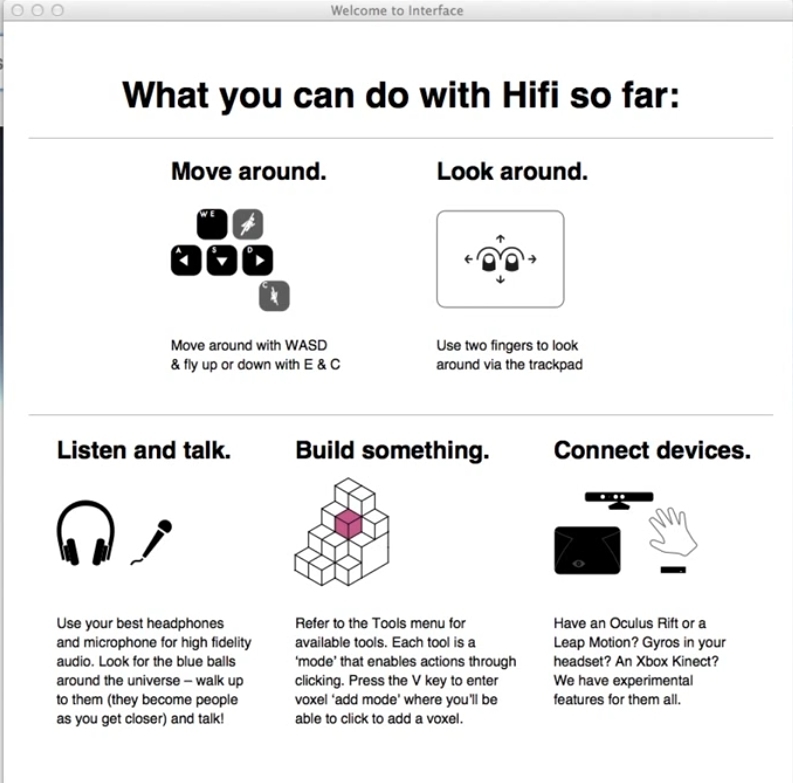 An interesting aspect with High Fidelity is that even with the alpha, many optional hardware devices – such as a Razer Hydra, Leap Motion, Kinect, PrimeSense, Oculus Rift, etc. – appear to be pretty much plug-and-play. The layout of the client is remarkably similar to that of the SL viewer 3.x UI. At the top is a typical menu bar, while to the left and bottom of the screen are a set of toolbar buttons, all related directly to building, and which can be turned off/on by tapping the Tab key. An interesting aspect of the UI is the inclusion of a picture-in-picture (PiP) frame, which shows you your own avatar, as seen by others. Whether this frame can be repositioned around the UI window isn’t clear from the video, but it does appear to be pretty fixed in place. Even with a standard webcam, the system will pick-up the user’s facial expressions and translate them to the avatar’s face. As voice is the primary means of communication with High Fidelity (although not the sole means of communication – text is also possible), Voice Over IP (VoIP) is enabled on starting the client, and this is reflected in a sound level bar directly beneath the PiP avatar, which is graduated between blue, green and red, with the latter indicating that perhaps the microphone is being over-driven. There’s also a mute button to mute the sound of your own voice in your own headset / speakers. The default avatar is a little robot, and the video demonstrates the easy with which this can be changed – although as an alpha, the avatars within High Fidelity, even with their facial expressions, are very basic which compared to the like of a grid-based VW; it’ll be interesting to see how far down the road towards detailed customisation the company will go, and how much further that takes them into the Uncanny Valley should they do so. Altering an avatar is done via menu selection and file name – there are no image previews of the avatars (as yet – something that would likely be better received by users). There is an option to upload avatars of your own – but the format and complexity of such models isn’t explored in the video. 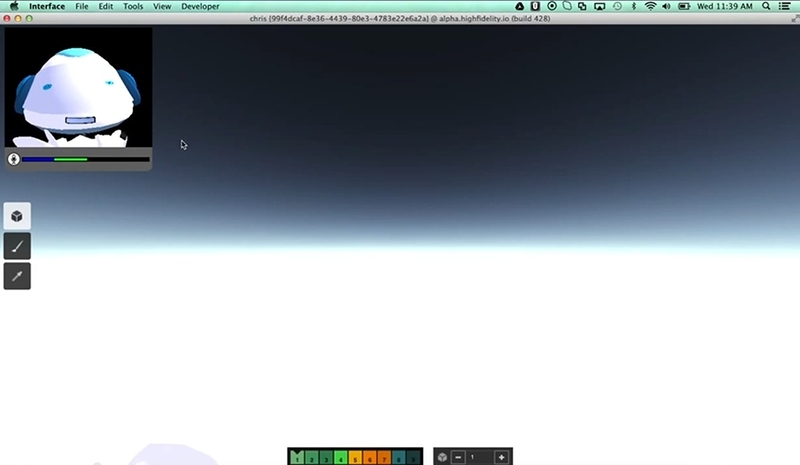 As the video progresses, building using voxels is demonstrated, and more particularly, the coalesced nature of the voxels is demonstrated – as Chris hovers a distance from the default @alpha.highfedility.io location, everything appears as voxel cubes of varying sizes, and doesn’t make for a pleasant-looking world at present. However, as he flies closer, the voxels “break down” into smaller and smaller units and reveal more and more detail. Again, I assume the overall “big voxel blocks” will be somewhat more refined and allow greater detail at a distance in the future, vis-a-vis Philip Rosedale’s discussion of the High Fidelity architecture and use of voxels, at the moment things are terribly blocky even from what seems to be a reasonable distance, and may draw unfavourable comparisions with something like Minecraft. Anyone familiar with building in Second Life will be instantly familiar with building in High Fidelity; voxels, in shape, are analogous to the default cube prim, and even the way detail “pops-out” at you could be said to be akin to how the shape of sculpties pop-out in an SL-style grid VW, although obviously the underpinning technology is vastly different. There are also options to import / export voxel models, although as with the avatar upload options, there are outside the scope of this initial video. On Tuesday April 29th, the Main channel received the server maintenance project that was on the Magnum RC in week 17, comprising a fix for BUG-5533 and a crash mode fix. On Wednesday April 30th, the Magnum RC had the server-side Sunshine / AIS v3 code re-enabled (this code requires the use of the Sunshine RC viewer), and all three RCs were updated with the bug fixes deployed to the Main channel. 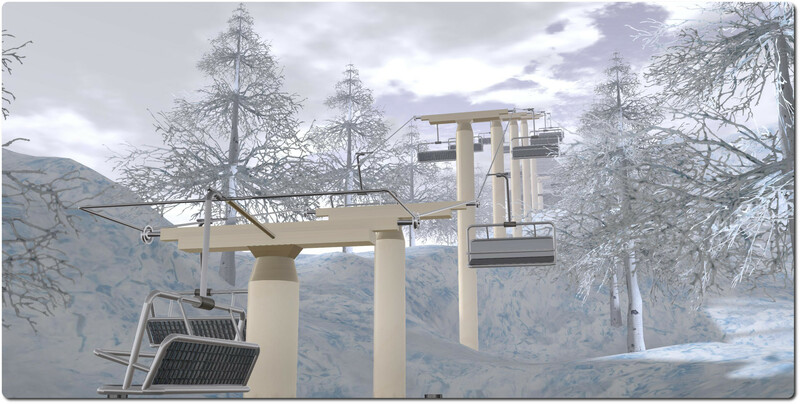 There have been no updates to the RC viewers in the release channel during week 18 and no further releases, either RC or project viewers, so the SL viewer releases remain as per the last update to my Current Viewer Releases page. Simon’s been looking at the performance of that group chat server, and it seems to be running fine. So there are plans to update the rest of the group chat servers to the new version early next week. We won’t go so far as to say that group chat has been totally fixed, though – Simon has identified some other changes which could improve performance further. A recent fix was made to IM sessions to correct the issue where it is possible to see “typing…” in an IM window when the other person isn’t actually typing (see STORM-1975), and questions were raised on whether this fix might be adding a load to group chat sessions, as the viewer-side code appeared to send the message during group chat sessions as well as person-to-person IMs. However, both Simon and Maestro Linden indicated that the notifications are simply ignored by the chat servers during a group chat session, so no additional load is created, although Maestro admitted it would be nice if the viewer didn’t send meaningless messages. Aside from the back-end load, the biggest issue which occurs in group chat is when someone using it changes regions. When this happens, the chat service has to figure out where you are. “The region you are on, your viewer and the back-end database all know where you are, and keep updated very fast. The chat servers, however, aren’t kept in perfect sync because that would be very hard to do with 50000+ people moving around who are all in 42 groups,” Simon said, in explaining the problem. He added, “It [the chat service] doesn’t track missing messages … but if it can’t send one to your agent, it then has to ask where you really are and then it sends there,” all of which takes time, delaying the receipt of group chat messages. The new code we have out now is a bit more efficient, but more importantly it has more metrics and it showed me that the performance problems are in a few other areas … it turns out the updates to keep the list of people in the group chat updated are really significant. It gets worse, of course, in large groups – more people coming and going, and more people who need the updates. It appears a server-side deployment of the code require to manage the new group ban list functionality is drawing close. 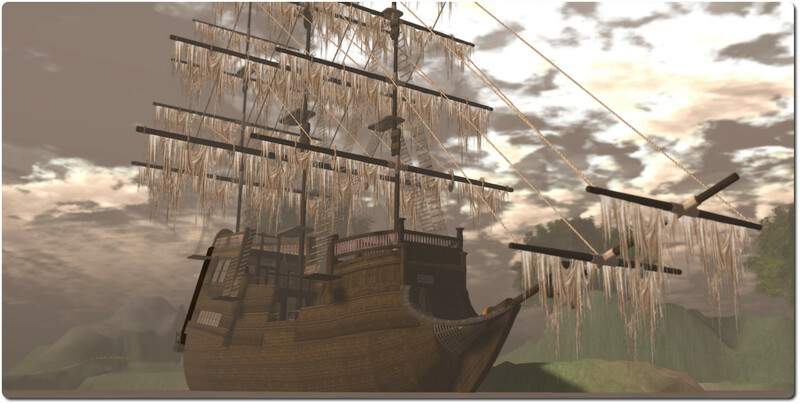 There is still work to be done viewer-side, but recent testing on Aditi resulted in a number of JIRAs being filed, and the associated server bugs have been stomped on by Baker Linden, with help from the likes of Caleb Linden. Friday May 2nd, 2014, marks an important step in Seanchai Library’s virtual development, as it will see the Library’s new venture on Kitely, the on-demand grid, open its gates in a special preview event. Seanchai Library’s presence on Kitely is extensive, comprising a 4-region Kitely megaregion, which offers a number of different story telling environments, and no fewer than eight individual regions – “worlds” in Kitely parlance – offering their own unique environs for stories and – perhaps – a little more. 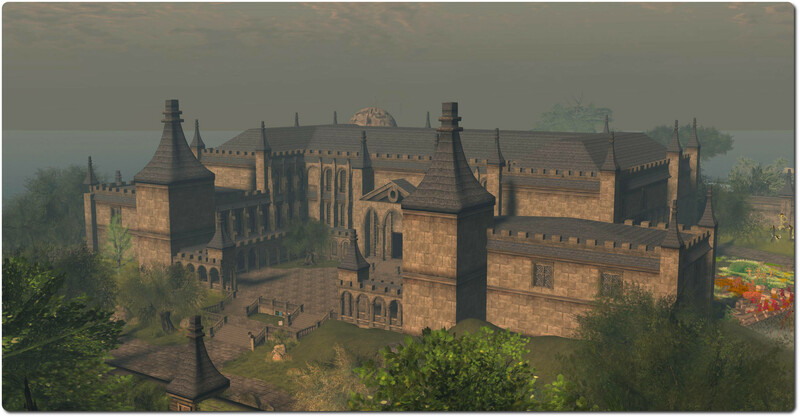 The main 4-region world, Seanchai, forms the hub of the Library’s presence in Kitely, and is home to the main reading room and the teleport hub linking it to the other region “worlds”. It is also divided into a number of individual areas where events can be run simultaneously, including the Campfire Ring, Ghostly Pirate Bay, Undersea Discovery, Volcano Island, Celtic Castle Ruins and more. The teleport hub, which also acts as the region’s landing point, features a circle of ten stone portals, one of which is currently inactive and another leads to the Kitely Welcome Centre. Walking up to one of the remaining, labelled, portals will transfer you to the named region. Note that if the region is not already in use, you may see a warning pop-up on your screen. This is because Kitely worlds are “on demand”, and only exist when there are avatars present (the rest of the time they are safely stored). Should you find this is the case, you’ll be automatically teleported to your selected world once it has started – which should only take a few seconds. 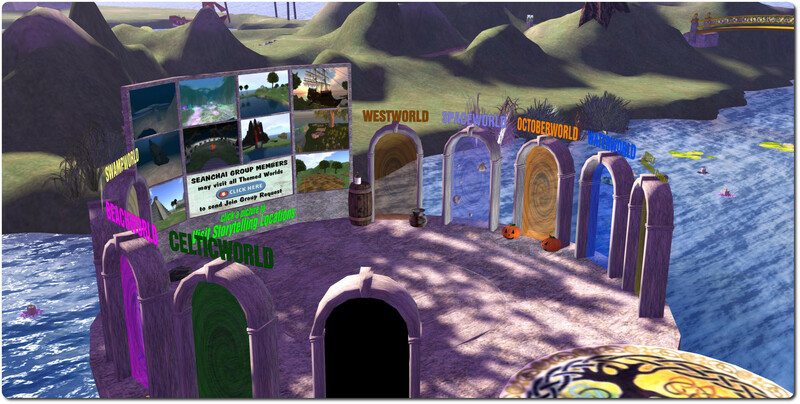 The eight individual storytelling worlds are: Beachworld, Celticworld, Octoberworld, Spaceworld, Swampworld, Waterworld, Westworld and Winterworld – and the names pretty much sum up their individual themes! Each world offers a unique environment for stories and events, and they include freebie areas where visitors and patrons can dress to look the part if they wish. Exploration of the regions is encouraged, and some offer the means to host multiple story telling activities at once. 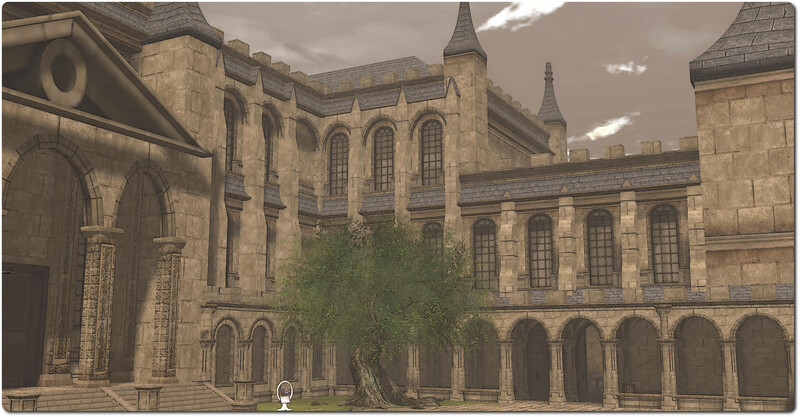 To mark the opening of Seanchai Library’s presence in Kitely, the preview event will start at 18:30 SLT (PDT) on Friday May 2nd. This will comprise a guided tour of the estate, and will be followed by ghost stories around the campfire, starting at around 19:00 SLT. This will feature tales from a host of masters of the macabre, including Stephen King, Guy de Maupassant, Ramsey Campbell, and Tony Richards, and by literary greats like Ambrose Bierce, Washington Irving, Sir Water Scott, and J Sheridan Le Fanu. 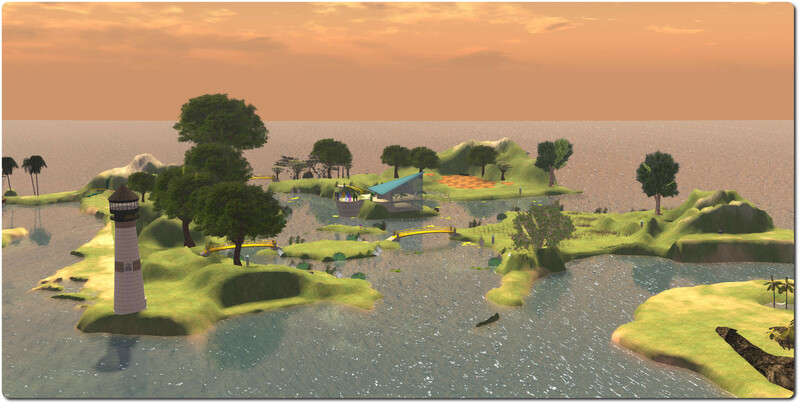 So does this mean Seanchai Library is leaving Second Life? No. Rather, they are expanding into new areas and new opportunities. So why not hop over to Kitely and join them? It’s pretty easy, even if you’ve never visited another grid. You can register a free account with Kitely via their website. This will give you access to Kitely, and a free region of your own – please make sure you read Kitely’s notes on membership options and the costs involved in visiting worlds if you intend to either develop your own region or explore more of Kitely. Again, note that if the Seanchai region is not already running, you may be initially logged-in to a Kitely teleport station. You should only be there a few seconds before being automatically teleported to Seanchai.